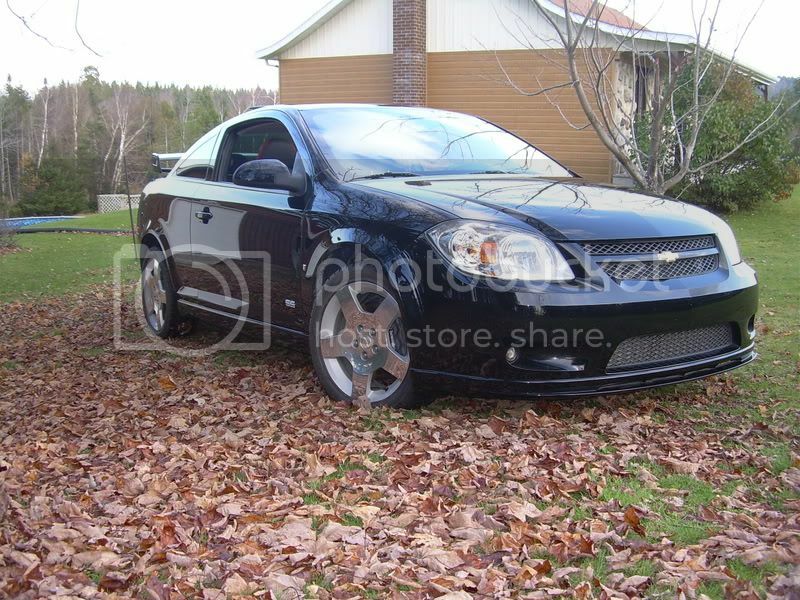 GM is going to have to offer something here...do they intend to just not sell these models in the winter months? For those interested, I just contacted the service manager at my dealership. He's going to look into whether or not GM plans to produce winter wheels suitable for the car, and pass up the suggestion if not. Ahh looking at that photo that's a really close fit. What happens if debris on the road like rocks and junk gets lodged between the wheel and the brake? 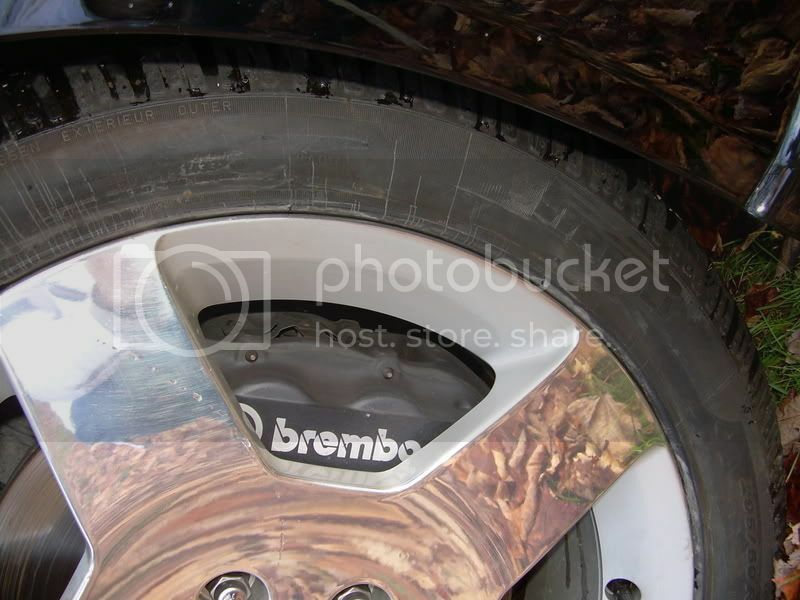 I think I'll just put the Bembo stickers on my drum brakes haha! Too much work man...just upgrade to another car. Basically you would have to change out all but maybe the strut and maybe the driveshaft will still work if the splines on the inside of the bearing assembly are the same. Or you make an adapter plate that goes on the rear of the knuckle assembly that has the caliper mounting bolt holes in the right place. That doesnt make any sense, on pg. 2 (ecotecbreed?) said that he got 17" from a sport model to fit. How would 18s from an ss NOT fit when 17s do? There is more than just the rotor diameter you need to worry about. The brembo caliper is very wide...and the offset of the rim needs to be relatively high, +45mm, in order for it to clear. so what do us people in the north do about winter tire? I'm not using my stock rims in the winter and i dont even think they make 18 steelies? Im thining of getting the 15mm spacers. I have to check to see what the offset is on the SS/TC rims then subtract the SS/SC rims to find the best spacer. To big and it is dangerous, to small and well you loose ur caliper upon rim rotation. i think the TC rim is +45 and the SC rim is +35 but im not sure. Maybe someone can clarify that. I am going to run a spacer and 17" steel wheels. I won't run the spacer in the rear. 3mm, I don't even know if they make that! You'd need the SS\TC wheels to fit. Hweel manus are frantically trying to come out with aftermarket wheels for the SS\TC but are having a hard time with it due to those HUGE brembos. Spacers range from 3mm to 20mm then custom. I tried a stock 18" wheel upgrade for my SS\TC and you can not use a deep-dish wheel, the spoke and such need to be on the oputside on the lip\rim and the spokes need to be super thin. I tried several wheels that Discount says fit, No go even with an excessive 20mm spacer, same no with Tire Rack. Patience is the key, as Discount and Tire Rack took full messurments of my frt wheels, brembos and clearances. Plus, the 17" whls from the older pre 2008 SS are 17x7' and the wheels on the new SS\TC are 18x7.5"
I got the wheel installed! I just got a set of BSA Model 264s in 17", with Gizlaved Nordfrost 5 tires (225/45R17). With 3mm spacers on the front they fit fantastic, and they were pretty damn cheap. If anyone in Toronto is looking for a winter tire package, head to Steelcase Tire in Thornhill (Steeles/404 area). You weren't on Steelcase road on Saturday, were you? I spotted a Black SS/TC driving into the place across the street. And out of curiosity, what did you pay? If you dont mind me asking what did you pay?